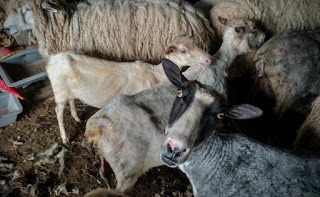 In the Merry Muddy Middle: Experiment #425, Can I easily* clean belly/nasty wool? And an update . . . 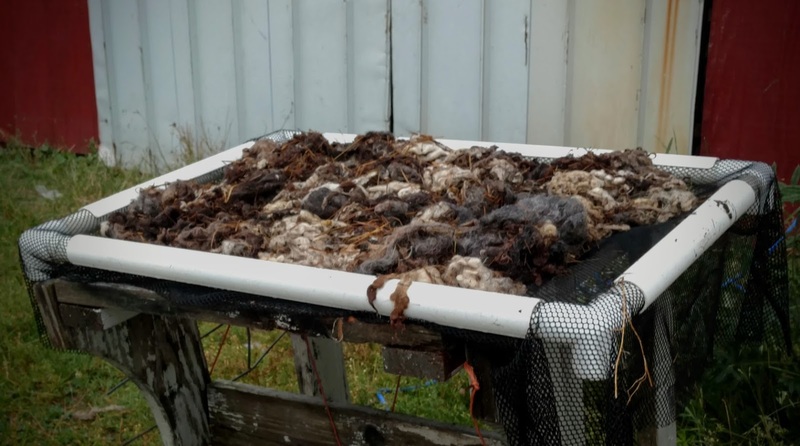 Experiment #425, Can I easily* clean belly/nasty wool? And an update . . .
Well, we're done with lambing!! I think. 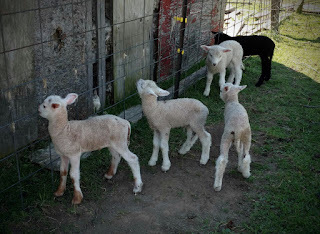 . .
We added 18 new sheep to our flock last fall, 3 of which are weathers. Which means we have a total of 25 ewes. We knew all of them wouldn't be bred because the new additions are older, some a lot older. 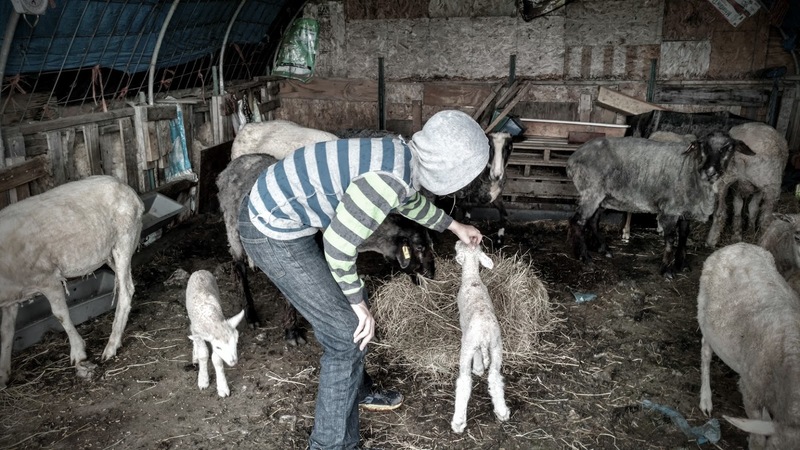 However we've only had 4 ewes lamb so far. 3 sets of twins and a single! 7 isn't bad but I think its time to clip our ram and replace him for someone more productive. 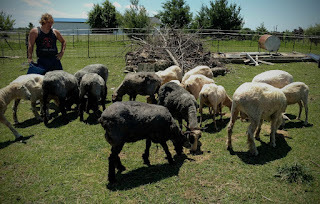 Recently we hired someone to come out and shear the flock, mostly because at 6 months pregnant I just can't wrestle them like I did last year. partly because professionals are a lot faster then I am and a bit because the new sheep are quite a bit larger then the Finns and a bit more squirrely. They were not very happy during shearing but were much cooler and obviously more comfortable afterwards. Now I have 32 fleeces to add to the 30+ from last year! I'm going to process some into yarn, some into roving and some into locks. 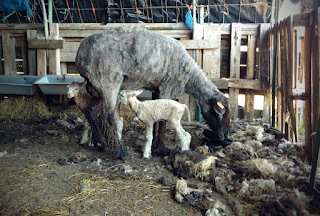 The one more experienced shearer went ahead and skirted all of the belly and dirty wool. 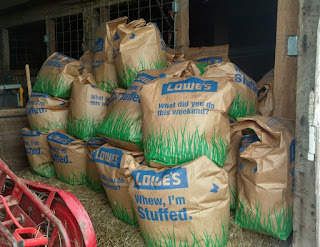 After 32 sheep that's quite a bit of "throw away" wool, it filled 2 - 30 gallon lawn bags. I got to thinking maybe if I could clean it up, I could process it to use as core roving in my needle felting projects. But I also don't want to do a ton of washing, rinsing and carrying of heavy wet wool. I get tired easily these days and its just going to get worse. So this is where the experimenting and the weather come into play. Yes, the weather. I'm going to let the rain wash the majority of the yuck from the wool. Ignore my fat finger. As you can see its filthy. It was thrown on the barn floor, walked all over and only picked up as an after thought. Its a mix of Finn, Lincoln and one red Tunnis, in all different colors. 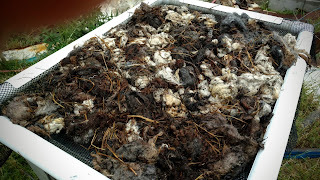 The first 2 pictures are of the wool laid out on a make shift skirting table, after its been in a light shower. Unfortunately with as dirty as it is, its going to take a serious rain, or 3, to clean it up enough I'll be willing to send it through my picker. Fortunately for me its supposed to thunderstorm on Wed. So I will have to update you later this week. For now here are some more pictures to tide you over. Just a different way to lay out more wool for washing. 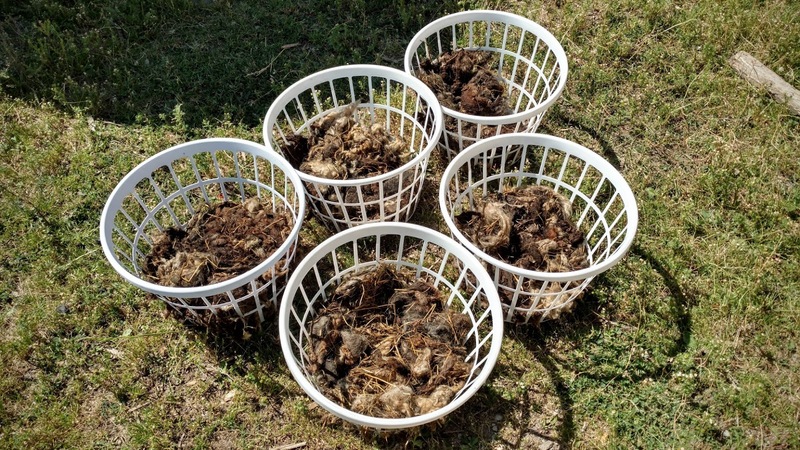 These baskets have a woven bottom so the dirty water can drain through. I'll set them up on some blocks for better drainage. 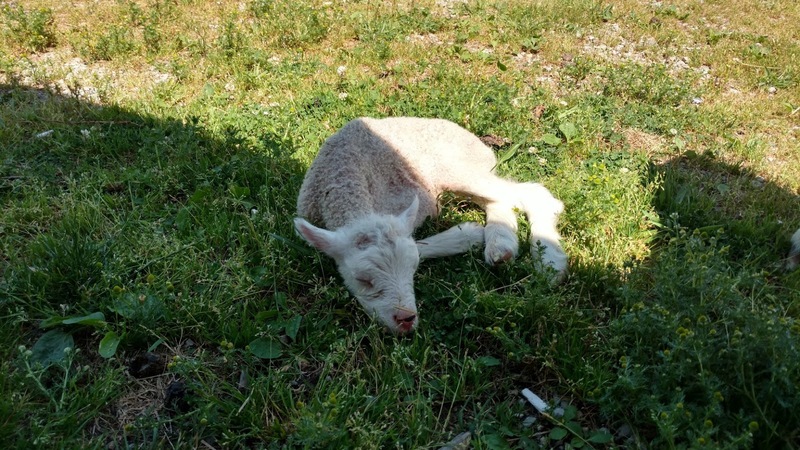 Little lamb getting their head scratched. Its very tiring, just being born. I love this <3 and the layout is beautiful. Please don't stop this...what took you so long? And I look forward to hearing if the rain helped!